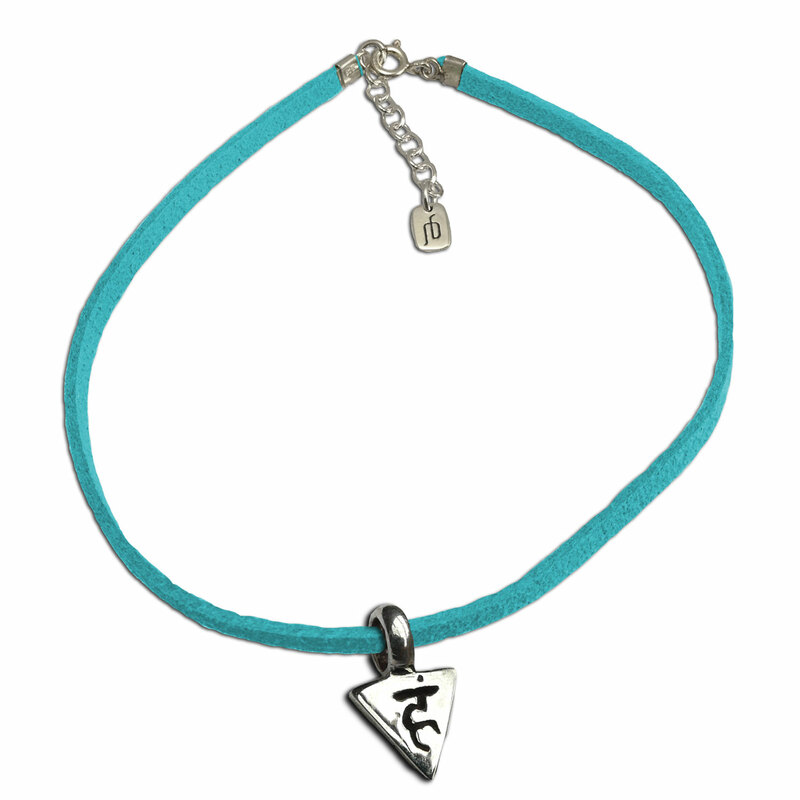 Anklet for the throat chakra has a mantra charm on an adjustable, turquoise microfiber suede (vegetarian, 9-10") anklet with silver clasp. Throat Chakra (vishudda): Communication. Honesty. Integrity.